Is there anything that screams British summer more than a big bowl of strawberries? 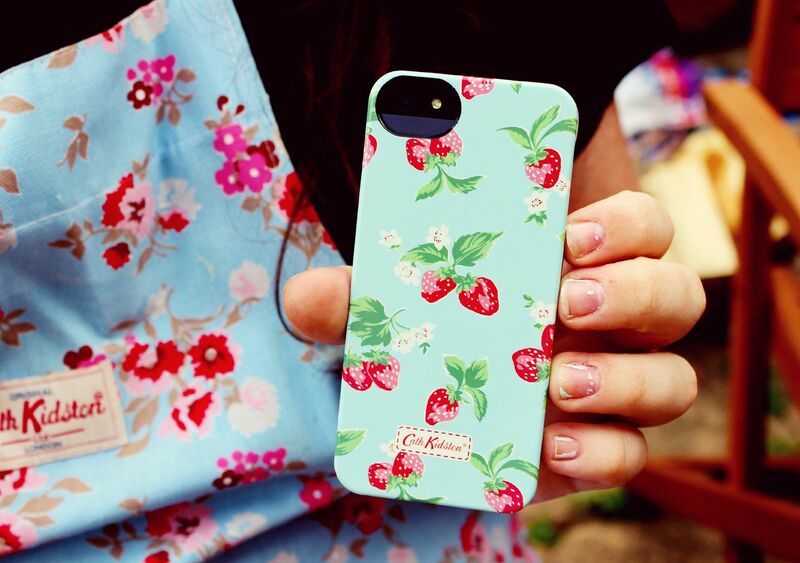 I was sent this new Cath Kidston iPhone 5 case from Three last week, and I have been oh-so eager to whip my phone out in public even more than usual. Instagram addict right here. It’s all blue and shiny, and feels so summery to me. 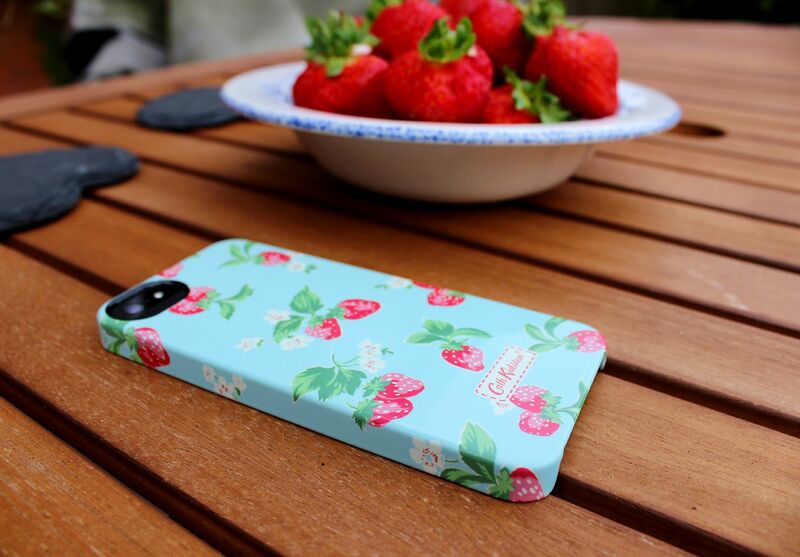 On the day I got it we had a lovely barbecue in the garden and enjoyed the sunny weather. I put on my mum’s Cath Kidston apron without even realising how brilliant they both looked together… Cath Kidston anonymous maybe?